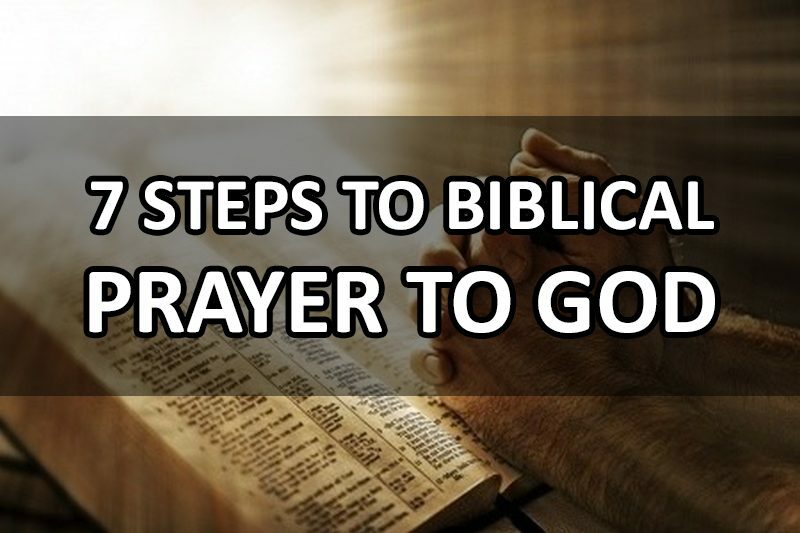 7 Steps To Pray According To The Bible | How Do I Pray To God? What Is The Best Way To Pray? 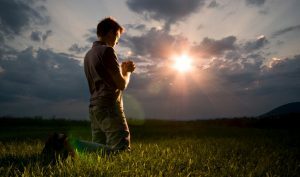 Many people, especially new Christians, might not really know how to pray to God. However, even mature Christians who have been Christians their whole lives may not really be fully aware how God wants us to pray. 5 And when you pray, you must not be like the hypocrites. For they love to stand and pray in the synagogues and at the street corners, that they may be seen by others. Truly, I say to you, they have received their reward. 6 But when you pray, go into your room and shut the door and pray to your Father who is in secret. And your Father who sees in secret will reward you. Based on the Lord’s Prayer, Jesus gives us a template for prayer. While memorizing and praying the Lord’s Prayer word for word can be fine, the truth is after you said it so many times, it gets harder and harder to mean every word, because it becomes merely a ritual. Often I found myself repeating over and over verses as I continued to pray it, realizing that I wasn’t focusing on the meaning of the words because it has become such repetition. God does not want us to meaninglessly recite a verse without meaning every single word from the heart. What if when you spoke to your friends you just said the same phrase every time you saw them? It wouldn’t mean anything, and certainly would not help you grow in your relationship with your friend by just reciting a few phrases. In fact, God talks about this. In Matthew 15:8, Jesus said: “This people honors me with their lips, but their heart is far from me”. Jesus was quoting this verse actually from Isaiah 29:13 which said the same. The context of Matthew 15:8 was in reference to people worshiping God mindlessly. For example, many people who go to church and sing during worship, but only because they like to sing. They are not meaning every word and consciously devoting it to God. Prayer can also be a form of worship. Thus, this verse also applies to prayer. Mindlessly reciting the Lord’s prayer is like talking to the wind. Completely pointless. It is important, then, understanding humanity’s tendency to convert repetition to mindless ritual, to understand the heart of why Jesus taught us to pray like this. Therefore, I will break down the reasons why Jesus wanted us to pray like this by going verse-by-verse and explaining the meaning. Jesus says to being our prayer to God with praise. the word “hallowed” means, essentially, “holy”. For example, you could say “Holy are you God”, which means about the same. The important thing is to acknowledge God’s greatness and holiness and praise his wonderful name. This is how we are to begin prayer. This one was a bit more difficult to grasp. 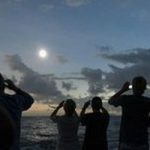 According to reference.com, this could mean that by acknowledging the second coming of Christ and the new kingdom that will be established, it can help to focus our minds on the mission of serving God for the coming kingdom of Heaven, instead of living for ourselves here on earth. Jesus often was quoted expressing the importance of doing the will of God. Even in the Garden of Gethsemane when Jesus was praying to God when he was about to be arrested to be ultimately executed, Jesus prayed to God, “Father, if you are willing, take this cup from me; yet not my will, but yours be done.” (Luke 22:42) Even Jesus, the Son of God, saw it of great importance to clarify that God’s will is the most important. Life was simpler in Jesus’ day 2,000 years ago. There were no computers, smartphones, or other distractions. Often people had little more than fellowship with each other and modest meals consisting of not much more than bread and water. 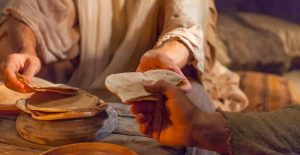 I believe that here Jesus was expressing by “daily bread” was asking God for our basic daily needs. Not necessarily our wants, but our needs. This doesn’t include getting the latest game system or new smartphone, but rather our daily sustenance, including food to live, possibly including money for rent (shelter), fellowship with others, and even sufficient sleep. Asking God for our most basic needs acknowledges God as the ruler of our life, and it expresses a reliance on God rather than depending on ourselves for our own sustenance. The Bible says in Matthew 6:26, “Look at the birds of the air; they do not sow or reap or store away in barns, and yet your heavenly Father feeds them. Are you not much more valuable than they?” If we truly trust God for our daily needs, then certainly we will not be left wanting. What better way to grow this reliance on God than to at several times every day acknowledge that God is the provider, and express to God our reliance and trust in Him to provide for our needs? As Jesus further elaborated at the conclusion of this prayer in verses 14 and 15, Jesus gives a conditional statement: we will not be forgiven unless we forgive others. Just asking is not enough. We need to go to God and spend time confessing our sins, asking God to reveal sins we might not be aware of, and praying for forgiveness. However, based on how we will only be forgiven by the measure of how much we forgive others, then we must search our hearts for any unforgiveness. 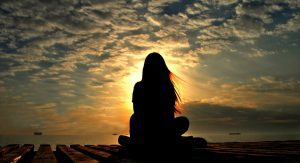 I would suggest to ask God if there is anything you are not forgiving someone for, knowing that if you do not forgive them, then God will also not forgive you. Pray to God asking Him to reveal any unforgiveness in your heart. What if it was a very heinous thing that was done to you? Some things took me years before I was ready to forgive them, but it took maturity and persistence and eventually I opened up my heart. However, I was lucky. What if you die tomorrow with unforgiveness? It will not be a good thing, for sure. So pray that God help you to truly forgive others, for anything, deep in your heart, and ultimately God will then forgive you for even the worst things you have done in the past. I have found that the more I matured as a Christian, the easier it was to fogive others. Once my heart grew enough that I could forgive even the truly worst things that were done to me, and truly forgive them in my heart, I found that it is now much easier to forgive people for things when they wrong me. However, you must make sure to daily go to God and make sure you aren’t harboring unforgiveness in your heart. See this post to read more about how important forgiveness is: First Condition of Salvation: You Must Forgive Others In Order To Receive Forgiveness By God. Like trusting in God for our daily needs, trusting in God for His protection from evil expresses a reliance on God and a humility before Him. Additionally, sometimes in our weakness we can be led astray, and in doing so we become much more vulnerable to attacks from the evil one. This is why it is important to ask God for protection and to watch over us, helping us not to be led into temptation or pulled astray, and asking God to protect us from the evil one. This doesn’t mean that we don’t hold some responsibility, however; but it does demonstrate an ultimate reliance on God for strength and an acknowledgement that we can’t do it all on our own. It is important to note here that Jesus both began and ended the prayer with praise to God. This says a lot about what God wants from us when we talk to Him and spend time with Him. An interesting thought is that in church, service is begun and ended with praise. I wonder if this tradition was began because early church leaders understood that it is best to begin and end communication with God with praise? It does seem that by Jesus choosing to being and end praise to God, that praise and worship is an important, even critical part of our communication with God. In the writing of this, I do find it interesting that there are 7 steps. The Bible does a lot of things using certain numbers including 12, 3, and 7. For example, 12 tribes of Israel, 3 days before Jesus raised from the dead, and 7 days for God to create the universe. Anyway, that is besides the point, I just found it interesting. Overall, by following these 7 easy steps for prayer, we can use Jesus’ framework as a template to our own unique prayers to God. It is not that difficult to remember, it is essentially to begin and end with praise, acknowledge God’s sovereignty, and set your heart right before God. I would suggest to use the same order and format of your prayer, because this is how Jesus told us to. Therefore while the Lord’s Prayer and using the format Jesus gave us is certainly important, it is really only the starting point of prayer. More experienced Christians should also be including things like praying for others, praying for even your enemies, praying in everything we do, praying for the world, praying for the lost, and praying about many other things. See this post on 10 More Things To Pray To God About According To The Bible to read about 10 more things you can and should pray to God about. Enter your email address to subscribe to Revive Truth and receive notifications of new posts. Christmas Is A Pagan Holiday, So Should Christians Celebrate Christmas? The Fallacy of Martin Luther's "Five Solas"
It Is Better Not To Marry? What Does The Bible Really Say About Marriage and Celibacy? Should Christians Listen to Rock Music or Is It of the Devil? The Fallacy Of The Church Altar Call: Are You Saved Just Because You Answered An Altar Call? Salvation: The Free Gift - Is It Really Free? Unconditional? No Strings Attached? What Really Sets Christianity Apart From All Other Religions? Is It Trinity Doctrine? Jesus? Something Else? When Does Life Begin? Is Abortion Wrong? The Answer Is Finally Here And Undeniable. Joshua Makes the EARTH Stand Still? Here are some great recommended articles and blogs which I have collected over the years. These blogs contain a lot of great information even if not 100% accurate, but very close to it if it's linked here. While I can't fully support 100% of everything found at these links, they are good for reading. The Corrupt Latin Vulgate Version!! Does Hebrews 8:13 negate Torah? 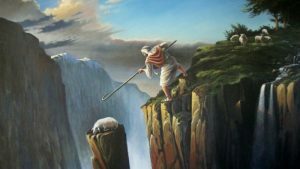 Does the book of Hebrews say that the Old Covenant of Moses is taken away? When Did Jesus Rise From The Dead? "Professor" Albert Einstein Unmasked At Last! !